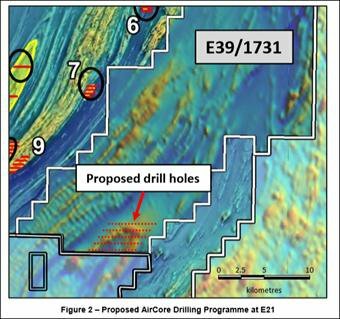 2,000m of aircore drilling to commence shortly in the Fraser Range... 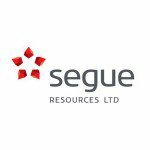 Segue Resources (ASX:SEG) is about to drill into probably the hottest exploration postcode of Australia right now. 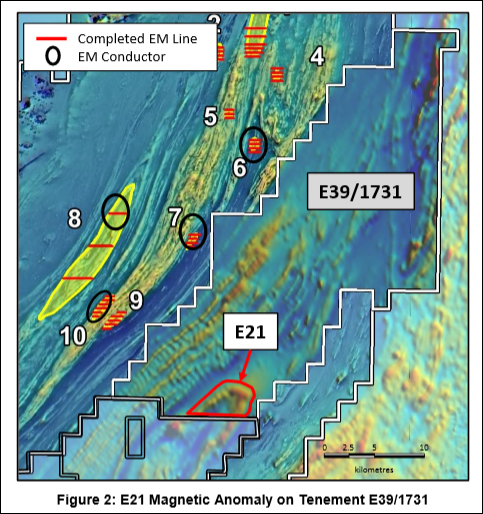 Mere months after bagging 100% stakes in swathes more high potential nickel tenements in Western Australia’s resource rich Fraser Range, SEG is about to drill into what it calls “a highly anomalous magnetic feature”. That’s mining speak for a potentially massive nickel deposit. The magnetic anomaly appears to be several orders of magnitude larger than the “eye” which hosts Sirius’ Nova Bollinger deposits. 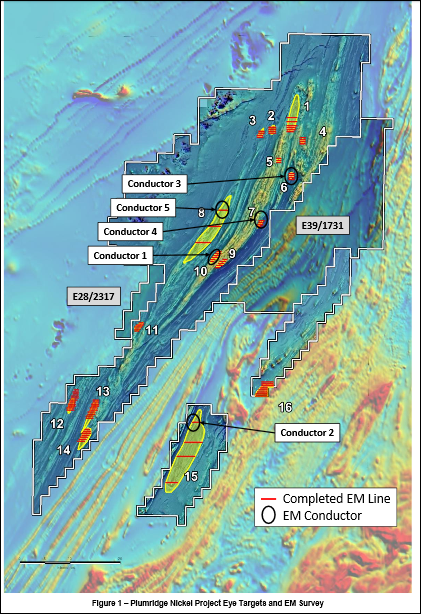 Within this target, two impressive bedrock conductors have just been identified, once again ticking more boxes in nickel sulphide deposit identification. We are expecting news on this drilling campaign any day now – it’s due to start mid July 2014. As well as firming up drill targets, SEG is also just raised $1.1M, including $500k from a big institutional investor. Plus SEG’s biggest shareholder has just agreed to hold its entire stake in the company in escrow until the end of the year – a huge show of support in the lead up to this crucial drilling programme. We all know the Sirius story well by now. Sirius went from 5c to $5 when it discovered two massive nickel deposits in the Fraser Range, transforming it into a 100 bagger that earned fortunes for investors who got in at the ground floor. The past performance of this product is not and should not be taken as an indication of future performance. Caution should be exercised in assessing past performance. This product, like all other financial products, is subject to market forces and unpredictable events that may adversely affect future performance. SEG is capped at $19M right now and its shares trade for peanuts. Now the stage is set for their maiden drilling programme. The big question is: Can SEG find a Sirius style nickel deposit in the Fraser Range? SEG’s pulsing magnetic targets are close to the Nova-Bollinger nickel deposits discovered by Sirius and have all the hallmarks of Sirius style money pots. SEG has 16 compelling eye targets, five even more compelling “conductor bodies”, plus one very special target which is the subject of current drilling. SEG has completed the Phase 1 Ground EM programme over the 16 “eye” targets, resulting in the five EM conductors shown above being identified. Phase 2 has commenced with line extensions and additional EM lines planned by SEG to better define the EM conductors. Following completion of the Phase 2 Ground EM programme, the crew moved to “E21” – a new target of very special interest which we will explain in the next section. The net effect of all of this, we hope, is that a nickel deposit is identified. SEG’s modest market cap could change very, very quickly if its imminent drilling programme strikes a big nickel deposit. SEG’s drilling targets are based on piles of scientific, geophysical and historical data so the company is hopeful it can find something. SEG has been snapping up tenements across the Fraser Range for quite some time now, grouping them into a project called Plumridge. Part of this was a JV with International Goldfields Limited (IGS). SEG recently bought out IGS’s stake and acquired 100% control of four tenements and upped its stake in E39/1731 to 80%. 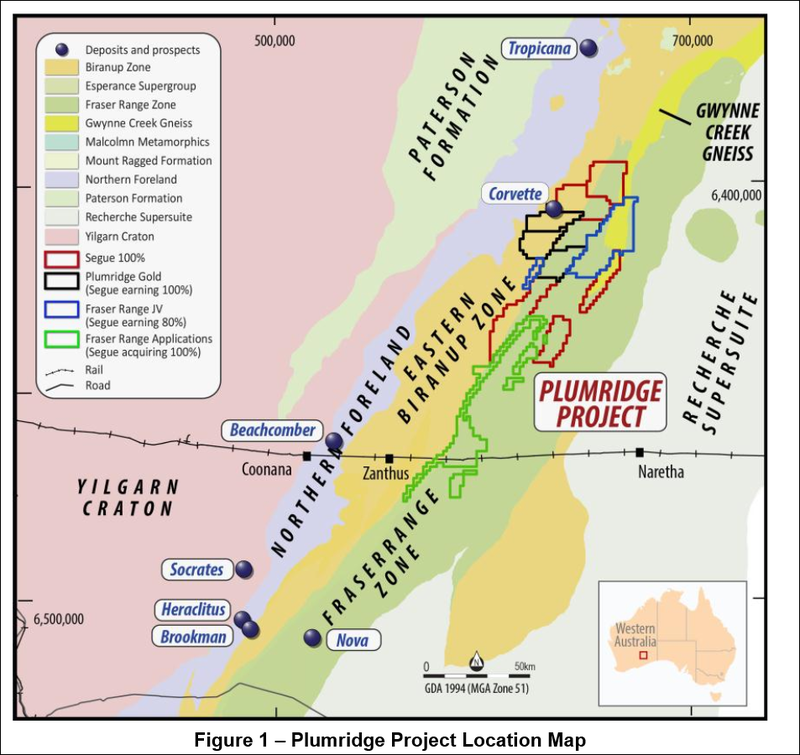 Plumridge is about 120km north-east of the Nova-Bollinger deposit and covers about 2,900km2 with 100km of strike length. SEG now has a huge swathe of prospective land and reams and reams of high resolution aerial magnetic data. Since the acquisitions SEG has been crunching the numbers, reviewing the aeromagnetic and gravity data, and looking for clues. It combined its historic data with multi-disciplinary research covering deep seismic traverses, high precision dating, multi-element geochemistry and structural interpretations over the E39/1731 tenement. Part of this exploration work led to their big drill target – the magnetic anomaly – and decided to get boots on the ground and explore it. SEG is now just days away from its maiden drilling campaign. SEG also just raised $1.1M to fund this next phase of their exploration and is now poised to discover what could be a company defining deposit. They also have a second SPP open right now , where existing shareholders can top up their stake at 0.8 cents a share – this closes Friday 18 th July. It won’t be long before the herd takes notice of SEG – so let’s get stuck in to the details. And who could forget the Next Oil Rush tip of the decade, TSX:AOI, which has since a rise as high as 600% (!) since we called it in the report East African Oil – Hot Tip of the Decade! SEG has just announced it’s entered into a voluntary escrow agreement with its largest shareholder N&J Mitchell Holdings Pty Ltd (N&J Mitchell). An additional 292,500 of N&J Mitchell’s shares will be held in escrow until the 13 th of December 2014 – totalling 529,500 N&J Mitchell shares now held in escrow. This means that 33.1% of the company is now tightly held until the end of the year . This is a big show of confidence in SEG by N&J Mitchell and shores up the company’s plans to press ahead with its big exploration programme knowing nearly a third of its capital value is locked away. It’s clear that SEG is accelerating its plans to develop a massive nickel project in the Fraser Range with wide ranging support from top tier financiers and investors. The current SPP is priced at 0.8 cents per share. The minimum subscription is just $500, whilst the max is $15,000 (if this had not already taken up in the previous SPP). This SPP will close Friday 18 th of July. For those shareholders who don’t take up the SPP and have less than $500 in SEG, SEG plan to dispose of the shares and return the proceeds back to those shareholders. Reducing the number of small shareholders will reduce admin costs for the company and clean up the register. We expect to see an ASX announcement any day now saying that SEG’s next phase of drilling out at its E21 target in the Fraser Range has begun. This is contingent on SEG gaining the necessary approvals, a process that’s already underway. After that, time will tell. It could take days or weeks before we see drilling results... we are hoping for a big fat nickel deposit – or at least continued signs pointing to one to be unveiled. In parallel, SEG is accelerating its exploration plans and has secured a $1.1M war chest to fund it and is undertaking a further SPP to raise up to an additional $2.0M. Right now SEG is poised to have a company-defining event – the possible discovery of a massive nickel deposit in the middle of its tenements in WA’s Fraser Range. We are crossing every finger and toe that it happens. But we’re also realistic. The Next Small Cap is with SEG for the long haul. A discovery could see SEG blow up like Sirius – and when it happens the ground floor will be long gone.